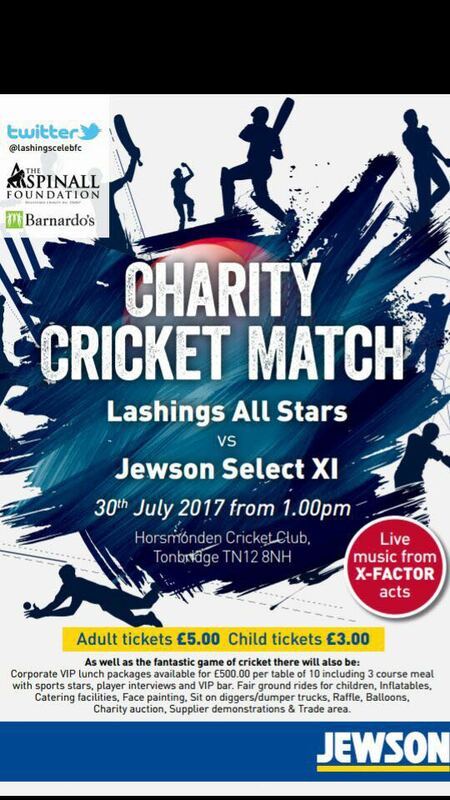 We have arranged a large charity family fun day and celebrity cricket match to take place at Horsmonden Cricket Club near Tonbridge Kent on Sunday 30th July 2017. 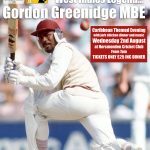 This great event has been organised to raise as much as possible for two great charities in Barnardo’s and The Aspinal Foundation. Barnardo’s believe in children – no matter who they are, what they have done or what they have been through. They will ensure their needs are met and their voices are heard Barnardo’s vision is one of a world where no child is turned away and there purpose is to transform the lives of the UK’s most vulnerable children. The Aspinall Foundations mission is to halt the extinction of rare and endangered species and return them to the wild. There commitment is to conservation, through captive breeding, education and reintroduction. They are working tirelessly in some of the world’s most fragile environments to save endangered animals and return them to the wild. 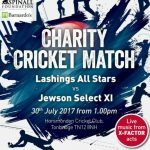 We have the great support of the Lashings Allstars cricket team which is full of international cricketing legends and they will be playing an exhibition cricket match against a celebrity side representing organisers Jewson. 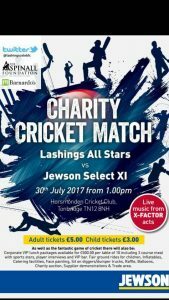 We have some amazing celebrities supporting our event and the lineup is being released gradually through our twitter site @lashingscelebfc. 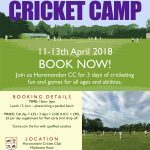 Away from the cricket we have some great entertainment for all the family with a fun fair, bungee trampolines, inflatables, beer tent, catering, raffle, face painting and loads more. Once the cricket has finished we will have some amazing music from acts that have appeared in the finals of X Factor. This will be a memorable summer’s day and great family day out in the heart of the Kent countryside all in the name of charity.